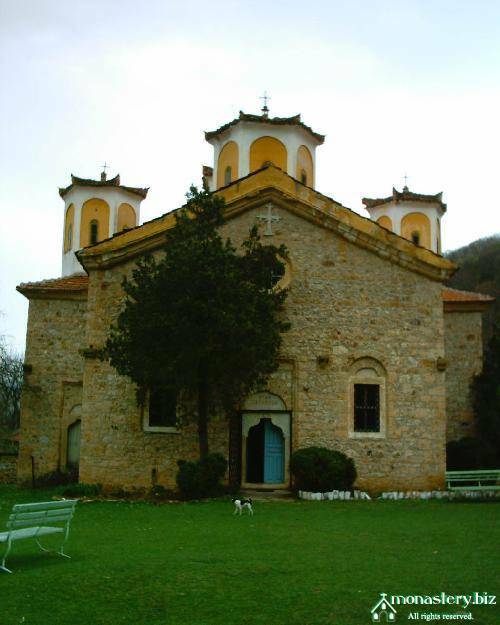 The Etropole monastery has its roots down into the years of the second Bulgarian state. According to the legend, St John of Rila settled in a nearby cave in the area of Varovitets in search of peace and solitude. However, shortly afterwards, the proximity to the town of Etropole convinces him to leave the cave and move to the Rila mountain, far away from laymen’s vanity. Nevertheless, the local people of Etropole declared the place holy and laid the foundations of the present-day monastery. During the time of the Ottoman rule in Bulgarian lands, the cloister was abandoned by its monks and left uninhabited for centuries. Yet by the end of the 16th century, it was restored and monks again settled in to transform it into one of the biggest cultural centres of the Bulgarian people. To a large degree, the monastery’s prosperity was due to the softer regime of control the town of Etropole was subjected to during Ottoman times, due to its role of a strategic mining centre. The monastery’s church “St Trinity” has retained its present-day look since 1858 and currently is considered a remarkable monument of Bulgarian architecture from the time of the Renaissance. It was built by Ivan Boyanin from the Bratsigovo architecture school and represents an imposing cross-like building with five domes. The church’s wall paintings were made later, in 1907.